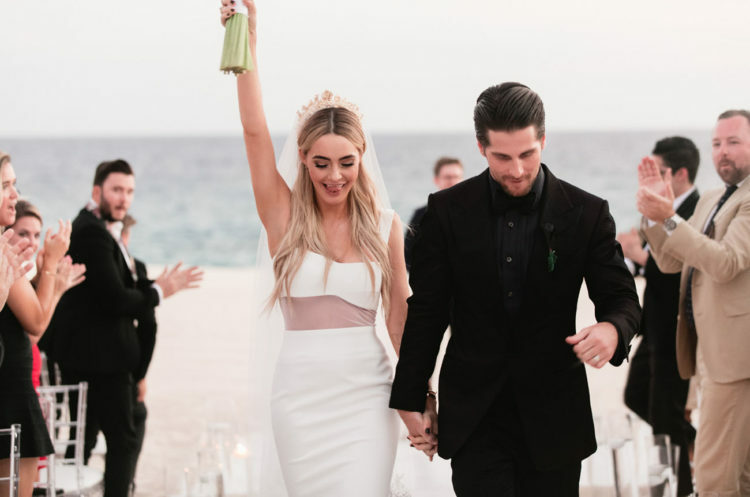 If you read The Skinny Confidential blog, you know that today’s bride, Lauryn, is obsessed with contrast, and all things black and white. So it comes as no surprise that Michael’s and her wedding incorporated a whole lot of that! Lauryn wanted to do something different, something dramatic, and a bit gothic-inspired. The couple threw all the rules out the window. They decided to have a four day celebration with favorite people in their favorite place. 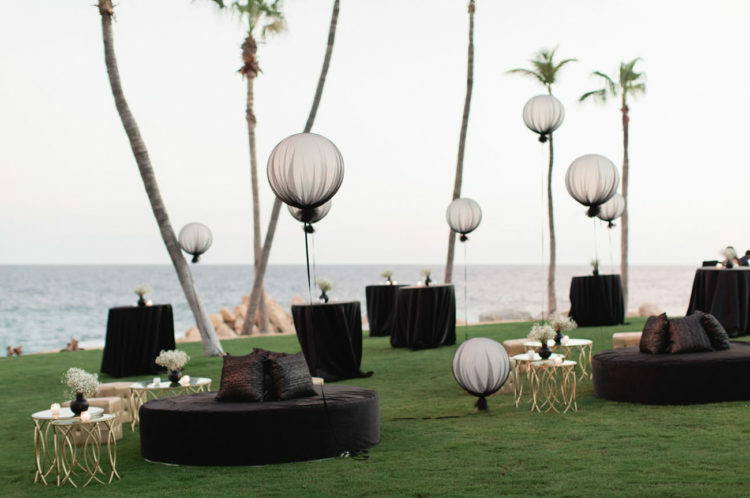 Keeping in line with L+M’s style, designer Esoteric Events focused on black and bold pieces, contrasted by accents of white, lots of tall dripping candles, and metal music! 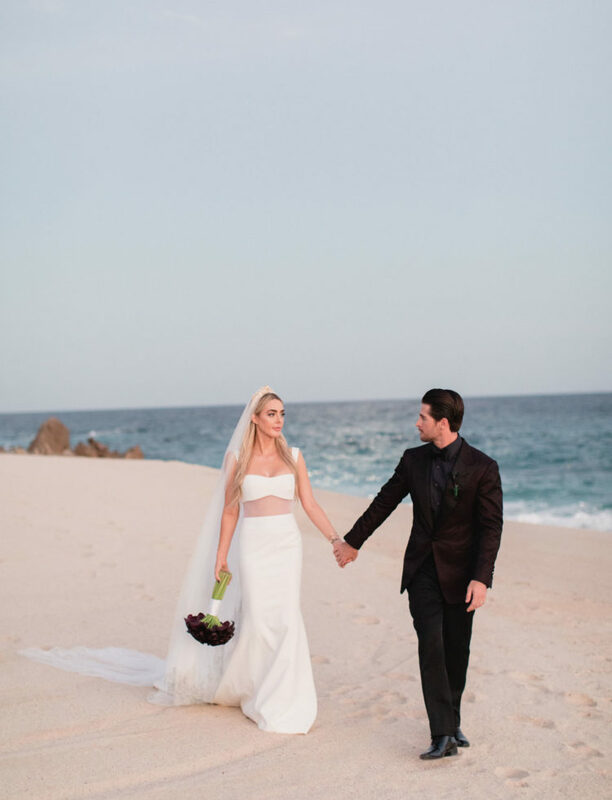 They stayed at the One & Only Palmilla in Cabo with 55 of best friends & family – the couple kept the wedding really small + intimate. It was total mayhem in the best way with lots of tequila, tacos, laughter and memories. 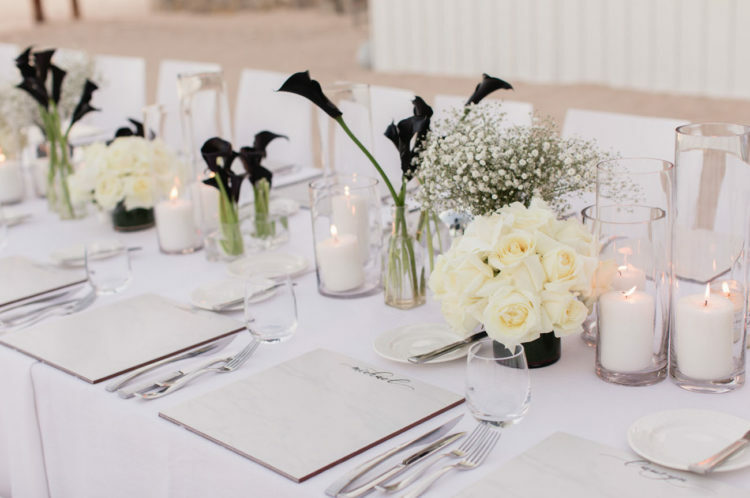 Arete Florals highlighted Lauryn’s love of contrast with the use of black calla lilies paired with baby’s breath. 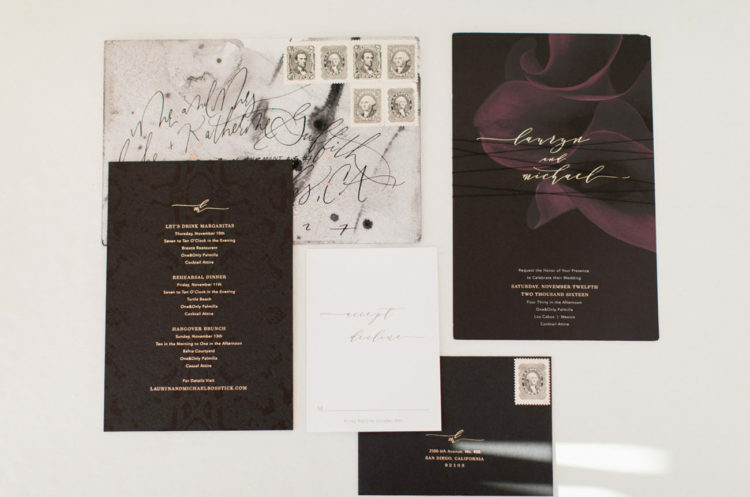 The wedding invitations by Bliss & Bone truly set the tone of the wedding. They ended up mixing black snake skin invitations with a huge calla lily. 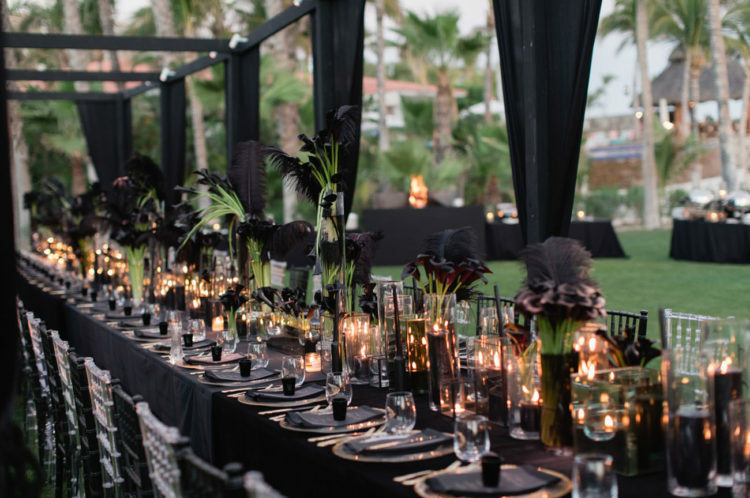 The tablescape for the wedding itself was all-black, with lots of candles, feathers and dark callas. Lauryn rocked an elegant metallic gold dress from Revolve for the rehearsal dinner. And can we just take a moment to admire this Vera Wang wedding dress in all its glory? The bride’s effortlessly beautiful hair was crafted by Shawn Knudsen. 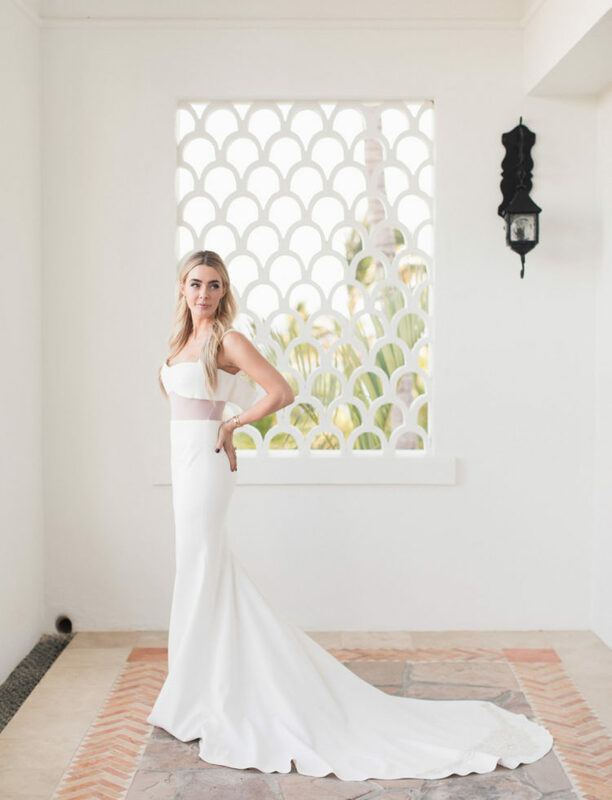 We’re crushing on Lauryn’s seaside-inspired hairpiece + veil by Eden Luxe Bridal. Get more pics of this beautiful wedding below!